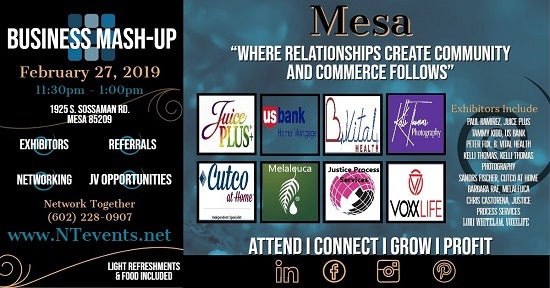 Come celebrate with like-minded business professionals from Mesa and across the valley by attending the February 27, 2019 Mesa Business Connection Mixer. Attend a a mid-day of making new business connections, generating leads, and renewing existing business relationships that grow businesses. Keep up your energy with complimentary food, light refreshments, and music.